Example 3 In figure, OP, OQ, OR and OS are four rays. 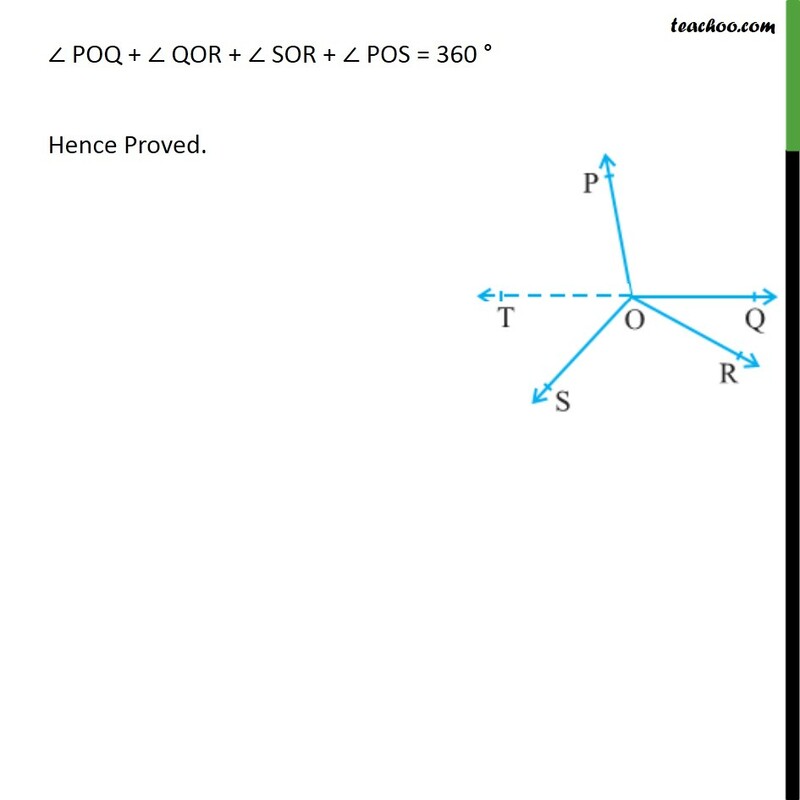 Prove that ∠ POQ + ∠ QOR + ∠ SOR + ∠ POS = 360°. 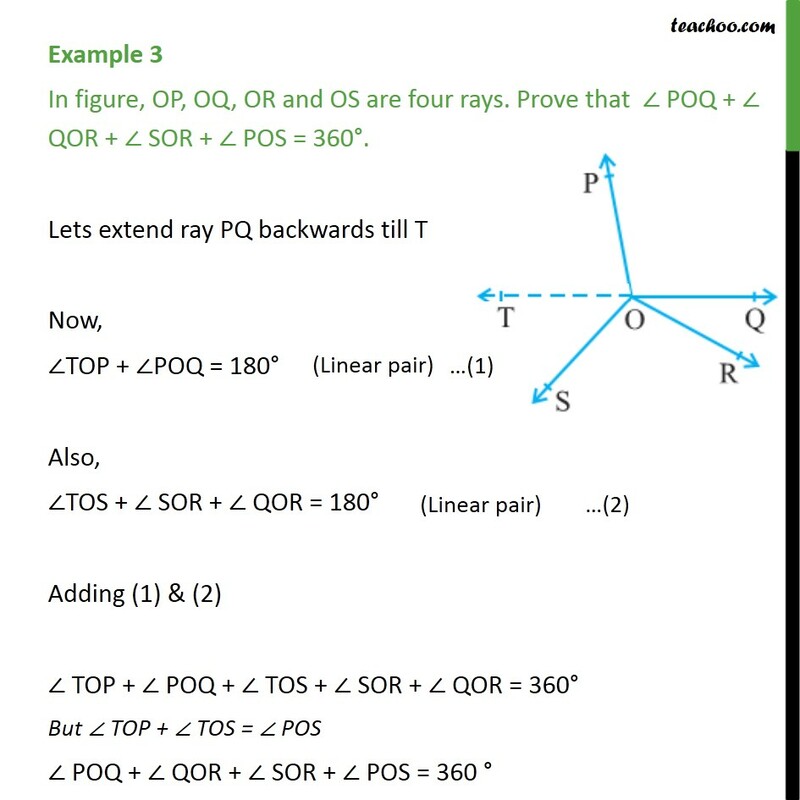 Lets extend ray PQ backwards till T Now, ∠TOP + ∠POQ = 180° Also, ∠TOS + ∠ SOR + ∠ QOR = 180° Adding (1) & (2) ∠ TOP + ∠ POQ + ∠ TOS + ∠ SOR + ∠ QOR = 360° But ∠ TOP + ∠ TOS = ∠ POS ∠ POQ + ∠ QOR + ∠ SOR + ∠ POS = 360 ° ∠ POQ + ∠ QOR + ∠ SOR + ∠ POS = 360 ° Hence Proved.